Burlap is a very popular decorating material right now in the home decor market. Leave it to Stampin’ Up! to come up with this wonderful Simply Created Kit. 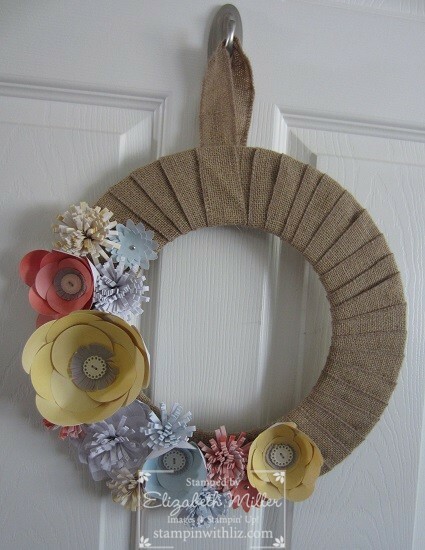 I will be honest that while the entire wreath took me about an hour start to finish to complete, I am not thrilled with the final outcome of those circle flowers. Previous postHappy Birthday to You!